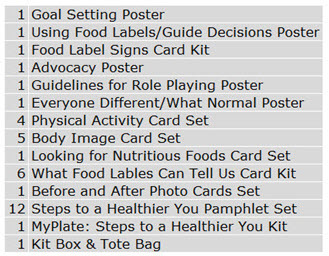 Michigan Model for Health Grades 7-8 Nutrition and Physical Activity Only Support Materials Kit. Contains core support materials, not including DVDs. Supports lessons in the Michigan Model for Health curriculum A Winning Team: Healthy Eating and Physical Activity.